The first step for changing your user password is to open the “User Accounts” tool from the Dash. Once you have the user accounts tool open you will be able to click on your username and then click on your password indicated by the dots. 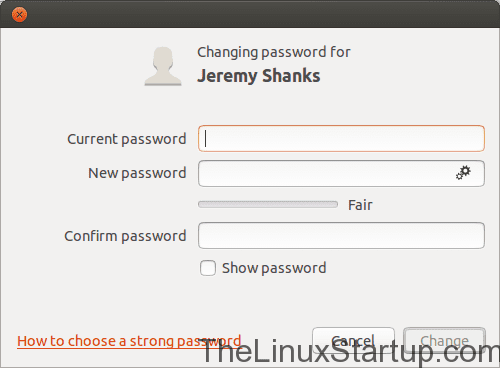 A new window will appear and you will be able to enter your old password and your new password. You can also click on the little gears in the new password box to let the system generate you a password rather than choosing your own. You will then be asked to confirm your password and then click change. Once you click change your user password will be changed to the password you entered. 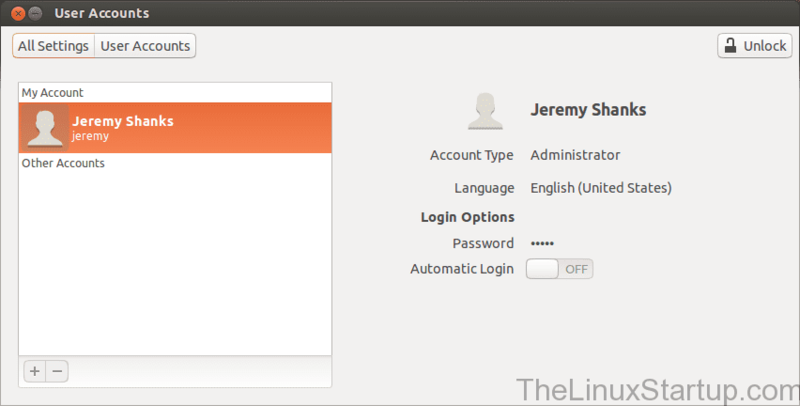 Now when you log onto your Ubuntu 13.04 operating system you will be required to enter the new password you have chosen.